Experience the quality of Amish furniture, handcrafted by professional craftsmen that have been working for decades to perfect their skills. 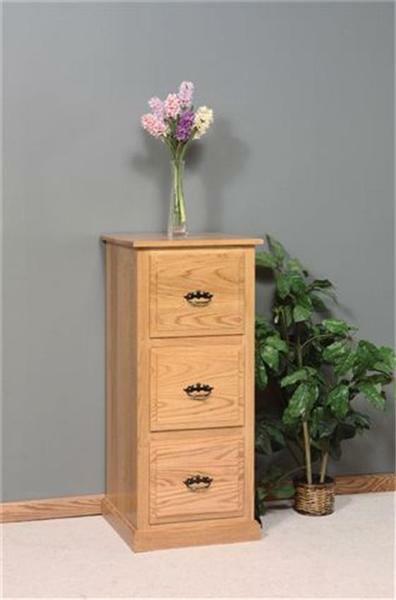 This beautiful three drawer file cabinet is a great example of an everyday product that is built to perfection by our Amish furniture artisans. Every solid wood file cabinet is built to order in the wood and finish of your choice for a perfectly crafted piece of office furniture to match your style and work space decor. Get your order started today to see this amazing furniture in person.